Chicago Mayor Rahm Emanuel has been very vocal about his ambitions to increase tourism in the city, and he once again upped that goal to 55 million annual visitors by 2020—an almost 20 percent jump from current numbers. 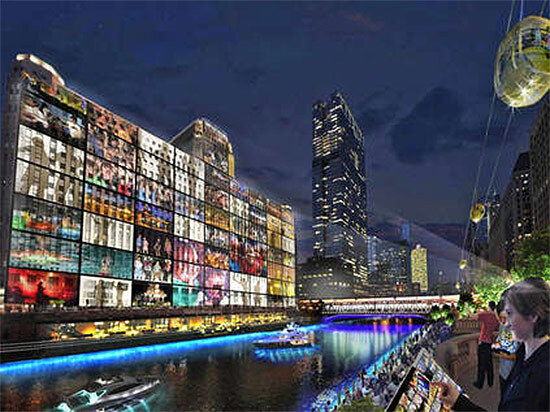 Riding high on news of record hotel occupancy last year, Emanuel said Wednesday that Chicago would launch an international design contest to light up the city at night. 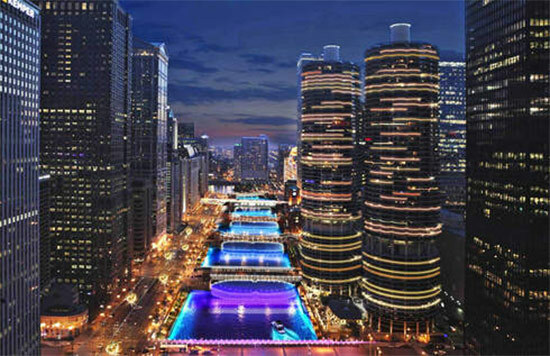 As with previous initiatives, like the Downtown Riverwalk extension, the lighting design competition would highlight the Chicago River. 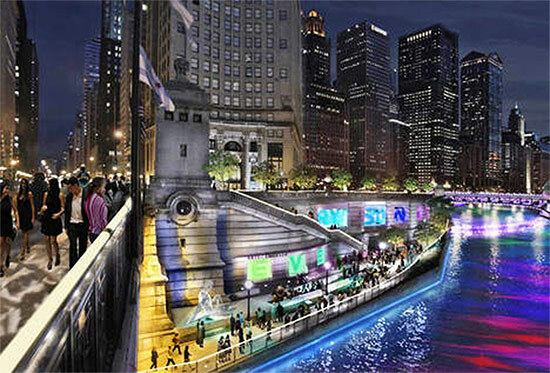 Lou Raizin, president of Broadway in Chicago, will lead the light-up Chicago initiative. The Illinois Coalition for Responsible Outdoor Lighting called it the idea “frivolous” and environmentally harmful. But the plan to make Chicago America’s city of light is more about creating buzz than addressing light pollution.